Promotional merchandise should always innovate and inspire, however the Wave team are often required to go further, creating merchandise that encapsulates the spirit of a unique occasion. This was the case when we were recently asked to assist a most singular client The Vatican. Before his death, Pope John Paul II wrote a series of 24 new psalms. Now set to music, they are due to be performed in a historic series of live concerts, the first of which will be held in St. Peter's Square following a private launch concert in The Vatican for a celebrity audience. With concert attendance estimated around 3 million and the potential to connect with 1.7 billion Catholics worldwide, the publicity mechanics for this event are of appropriately biblical proportions. 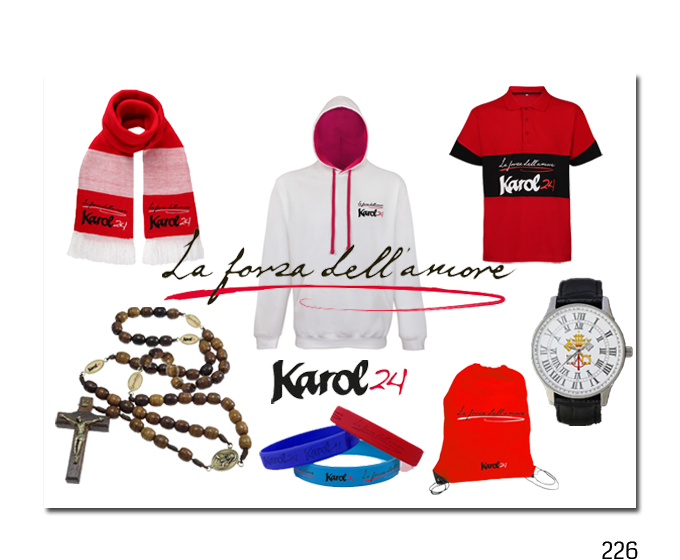 Working with Karol 24, the association managing these landmark performances, Wave has created a broad range of merchandise to retail at concerts and worldwide via a dedicated web portal. Merchandise such as a souvenir rosary has been designed as a memento appropriate to the occasion, while items such as branded rain capes provide practical contingencies for a live audience. All have been produced with Wave's faithful attention to quality and detail.